This paper examines autobiographical videos and emergent uses of social software sites such as YouTube to explore the possibilities of first-person media as a pain management tool. Beyond the therapeutic possibilities, the paper also explores the potential of such personal media acts as a means of breaking down taboos around pain and illness – offering up models for managing, discussing, and even ‘performing’ pain in the public sphere. Broderick Fox. “Shooting Pains: Addressing Illness-Related Pain Through Video Autobiography,” Making Sense of Pain: Critical and Interdisciplinary Perspectives. 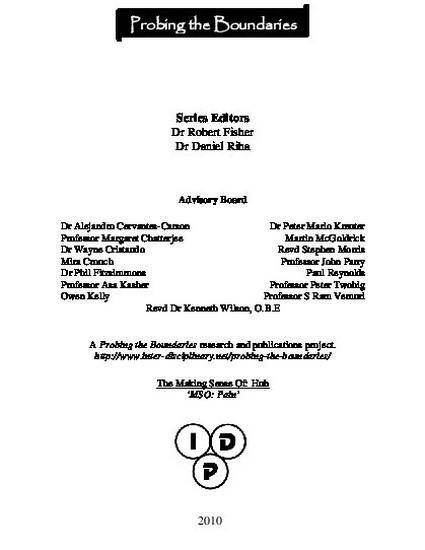 Jane Fernandez ed., Probing the Boundaries (Oxford: Inter-Disciplinary Press) 249-257, 2010.